Since Jaime’s first book No More Broken Strings was published in 2002, his life has been a roller coaster of highs and lows. At first everything seemed to go just right: the mysterious illness disappeared, his musical ministry grew and took him all over the world, he was surrounded by family and friends. Life was perfect. Until it all began to fall apart. His illness returned. His marriage disintegrated. And as he looked for answers and relief in all the wrong places, Jaime felt like a fraud, wondering how God could possibly love him. 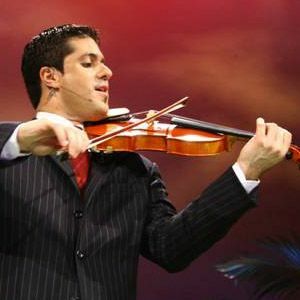 Jaime Jorge immigrated to the United States at the age of ten and studied with the eminent violinist Cyrus Forough. In 1994, Jaime was accepted into the medical program by the University of Illinois School of Medicine, taking steps toward pursuing his dream of becoming a missionary doctor. In 1996, he left medical school to devote himself to full-time music ministry. Jaime has traveled more than six million air miles, playing in more than forty countries and six continents, including North and South America, Europe, Australia, Asia, and Africa. He has recorded and released seventeen albums and has given more than three thousand concerts. Jaime sees each concert as a brand new opportunity to share the love of Jesus with others. It is his greatest passion to encourage and challenge each person to dedicate and use their talents for God's honor and glory! Jaime is married to Rachelle Pecovsky, and they live in Tennessee.